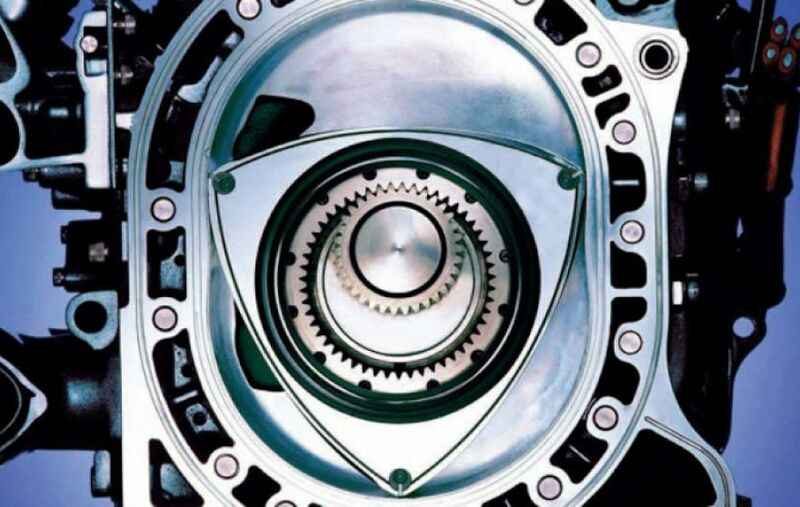 The Wankel rotary engine could return to a Mazda car as early as 2019, but it won’t be spinning its wheels. CarsGuide reports that Mazda’s head of research and development, Kiyoshi Fujiwara, has confirmed that the automaker will launch its first electric car in 2019, and said that it will likely use a small rotary engine as a range extending electricity generator for when the battery runs out of charge. Mazda has demonstrated a prototype of this type of series-hybrid vehicle before, and the powertrain configuration is currently in use in several cars, including the BMW i3 REx, which has a two-cylinder reciprocating engine onboard. The appeal of the rotary in this application is the high power density afforded by its compact design, and its smooth-running nature. Fujiwara said Mazda is developing the EV itself, rather than collaborating with a major automaker that already builds them. Mazda last built a car powered by a rotary engine in 2012, the RX-8, but had to abandon it largely to poor fuel efficiency and emissions. It has continued to work on the technology, however, as it is one of the company’s signature features. Mazda officials have previously suggested that if they can get it to perform as well as a reciprocating engine, it will bring it back to power a conventional sports car, too.